Pictures from Our Busy Dock Area Yesterday, March 19, 2019! Two box trucks filled with some Very Nice Furniture from a Towson, Maryland Estate fill our dock area! 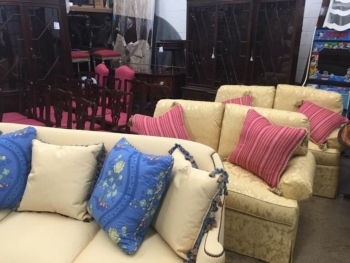 Pictures show just some of the pieces as we get ready to put them through our prep shop and onto our showroom floor. Call or stop in for more details! 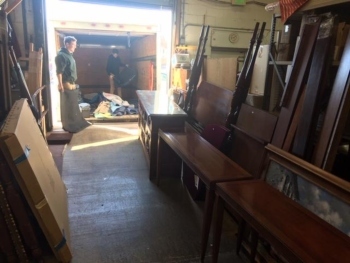 Noah and Brayden finish unloading 2nd Truck Full of Great Estate Furniture! 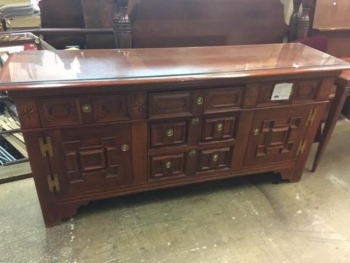 Baker Rustic / Casual Credenza. 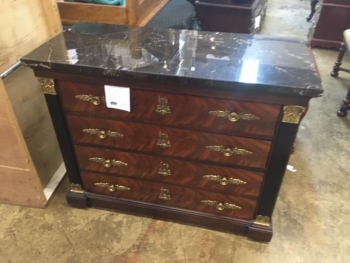 Henkel Harris Marble Top Chest. 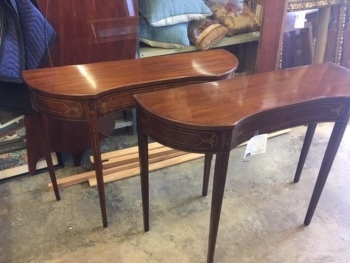 Pair of Inlaid Demilune Hall Tables. 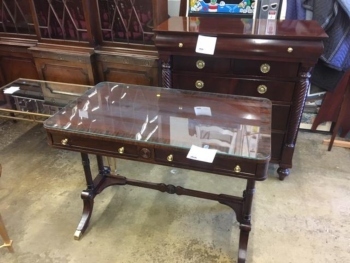 Nice Writing Desk and Hickory Chair Chest. Very Clean Upholstered Pieces from Hickory Chair. See today’s postings below for details. 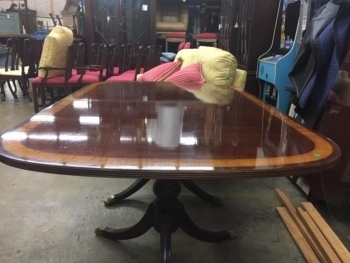 Banded Dining Table came in with the 12 Chippendale Chairs in the background and are posted individually below.